Amazon has sadly canceled The Last Tycoon. I am very disappointed with the news. I wish we got to see more of the characters and the film Celia and Monroe were working on together. I loved the series and Lily’s role in it, sad for it to only have one season. THE HOLLYWOOD REPORTER – It’s the latest belt-tightening move from the streaming giant. Amazon has canceled its F. Scott Fitzgerald period drama The Last Tycoon, sources tell The Hollywood Reporter. The decision arrives days after the retail giant/streamer made an about face and canceled another Fitzgerald drama, the previously renewed Z: The Beginning of Everything, starring Christina Ricci as the author’s wife, Zelda Fitzgerald. Amazon had spent roughly $7 million during pre-production on the scrapped season of Z. The cancellations come as what sources say is larger belt-tightening going on at Amazon as the outlet looks for a large-scale hit. The streamer is now beginning to rack up a series of one-and-done shows, with The Last Tycoon joining Z as well as its 1970s Newsweek period drama Good Girls Revolt joining drama Mad Dogs. The pricey Tycoon was picked up to series last year and began streaming on Amazon on July 28. While Amazon, along with Netflix and Hulu, doesn’t release viewership information, the drama debuted to mixed reviews from critics (its score sits at 53 percent on Rotten Tomatoes and 57 percent on Metacritic). 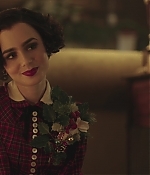 The series starred Matt Bomer, Kelsey Grammer and Lily Collins, and its nine episodes centered on machinations of the Hollywood studio system in the 1930s. The show is based on the unfinished novel of the same name by Great Gatsby and This Side of Paradise author, F. Scott Fitzgerald who centered the book on the character Monroe Starr, modeled after the producer Irving Thalberg. As some of you may or may not know, The Last Tycoon is now avaliable to stream on Amazon Video. The first pilot episode was released a year ago, but now the remaining 8 episodes are now avaliable to watch. The show is “an adaptation of F. Scott Fitzgerald’s final unfinished novel set in 1930s Hollywood, an era darkened by the Depression and the growing influence of Hitler.” Lily plays Celia Brady in the show. The show has become one of my favorites and I highly recommend you all watch it. It is definitely one of my favorite roles of Lily and she has done an amazing job. Please check it out if you haven’t! I am really hoping for a second season myself. Since the show has now been out for a week, I have went ahead and added Ultra HD screen captures from all the episodes to the gallery. I won’t be home for about a week, so I thought it would be best to get them all added for you now who want to look at them. The captures do contain spoilers, view at your own discretion. Enjoy the beauty! 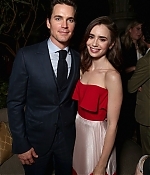 Last night, Lily attended the premiere of The Last Tycoon at the Harmony Gold Preview House and Theater. Some attendees was co-stars, Matt Bomer, Kelsey Grammer, and Dominique McElligott. Lily looked absolutely dazzling wearing a Reem Acra dress. Check out the beautiful HQ photos in our gallery! TV LINE – Amazon will return to the early days of Hollywood this summer with a former White Collar criminal. The streaming service on Friday announced that new period drama The Last Tycoon, starring Matt Bomer and Frasier‘s Kelsey Grammer, will premiere all nine Season 1 episodes on Friday, July 28. Lily Collins (The Blind Side), Rosemarie DeWitt (United States of Tara), Dominique McElligott (House of Cards) and Mark O’Brien (Halt and Catch Fire) round out the cast, which also features guest stars Jennifer Beals (Taken) and Eion Bailey (Once Upon a Time). Billy Ray (Captain Phillips) and Christopher Keyser (Tyrant) serve as executive producers. DEADLINE – With a well-known title and formidable lead cast, Amazon’s The Last Tycoon pilot has been a strong contender for a series pickup. Now the project, toplined by Matt Bomer, Kelsey Grammer and Rosemarie DeWitt, has been ordered to series by the streaming service, I have learned. It comes from Sony TV’s TriStar Television. I hear Amazon’s other drama pilot from the batch, The Interestings, is not going forward. Written and directed by Billy Ray based on F. Scott Fitzgerald’s final unfinished novel, The Last Tycoon was inspired by the life of film mogul Irving Thalberg, on whom the book’s protagonist Monroe Stahr was based. The project centers on Stahr (Bomer), Hollywood’s first wunderkind studio executive in the 1930s as he climbs to the height of power pitting him against his mentor and current head of the studio, the brawny, imposing, charming and vain Pat Brady (Grammer), a character based on Louis B. Mayer. Having come from the streets, Brady has no intention of returning to his misfortune, and is determined to make sure his studio is successful, no matter what personal morals he compromises. Dewitt plays Pat Brady’s wife, Rose Brady, who may be involved with Stahr. In The Last Tycoon‘s 1976 big-screen adaptation directed by Elia Kazan and written by Harold Pinter, the roles of Stahr and Brady were played by Robert De Niro and Robert Mitchum, respectively. Bomer, Grammer and DeWitt all have toplined TV series before, USA’s White Collar (Bomer), Frasier and Boss, among others (Grammer) and Standoff (DeWitt). This marks Emmy winner Grammer’s return to drama series following his Golden Globe-winning turn on Boss. Bomer also won a Golden Globe, for HBO’s The Normal Heart, and recently co-starred on American Horror Story: Hotel. DeWitt has been focused on movies for the past few years, recently starring in Poltergeist. Ray executive produces The Last Tycoon alongside Chris Keyser, who serve as showrunners, as well as Josh Maurer, David Stern and Alix Witlin. Pulitzer-winning author and F.Scott Fitzgerald scholar A. Scott Berg served as consulting producer on the pilotThis marks TriStar TV’s second series at Amazon, joining Good Girls Revolt.